The popular press lost interest following the stock market bust which some believe was lead by over rated Internet stocks. But no one told the users of the Internet. It has continually increased in almost every performance metric, from online users and purchases to the use of email and search. In a recent USA Today interview of several of the Internet’s most important creators and innovators, moderated by Kevin Maney, it is apparent that innovation is far from dead online—there is more to come. The general tone agreed that this decade will be more exciting that the last with more voice applications, video programming and applications delivered online. What does all this mean for the average small business website? Good news. The lower cost of entry for building a website, and the higher general usage means the cost of being online will drop relative to its efficiency or return on investment. But the average business will need to begin to re-think where they spend money, allocating more to their web strategy and potentially less in areas like the Yellow Pages, print and traditional advertising. The strategy not to eliminate any particular media, but to downsize them and point the action to the web. For instance smaller Yellow Pages ads can “push” prospects to a more comprehensive understanding of a businesses offerings on their website. The same applies to display ads. 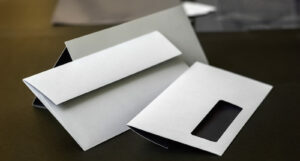 More post cards might be used instead of full mailers, where a specific concept is used to push interested parties to the specific page with an offer and link to the actual transaction. Make no mistake, the average budget for successful websites will increase not decrease, but the effectiveness will increase as well.